Luxembourg is among the countries that have the highest cost of living in the world with a per capita income of USD$ 68,000 per person. Here you can expect good employment opportunities and experience Europe’s affluent lifestyle. Luxembourg City was ranked 38th in a recent survey by Mercer to measure the cost of living for expatriates in 143 cities around the world. Foreigners are not restricted in buying properties in Luxembourg, however hiring an attorney is always advised before making a purchase. Owning a property is expensive and is attributed to the country's size as the real estate market has a limited amount of properties to offer. Being part of the European Union, the process of buying a home is similar to the United Kingdom's system. A notary should be used to transfer titles and deposits are normally 25% of the total price of the purchased property. Experts say that after two years of house price falls, Luxembourg's housing market rebounded and stabilized in the first half of 2009. Sale prices for apartments in Luxembourg City are approximately €5,000 per square meter. Typical house pricing in Luxembourg City is €450,000 for a two-bedroom apartment, €650,000 for a three-bedroom house and €1.5 million for a five-bedroom detached house. Purchasing a house in Moselle is more expensive than Oesling; Moselle's sale price per square meter is €2,698 compared to Oesling's €2,255 per square meter. 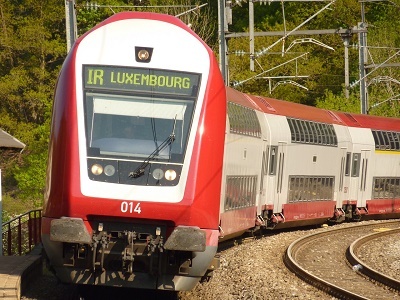 Finding a suitable rental accommodation is difficult in Luxembourg. Real estate agencies are only open for limited hours and are closed at weekends. Also, homeowners do not post signage or available properties for rent (or for sale). However, many rental properties are found by word of mouth especially in cities with large expatriate populations. You can also find accommodation by looking at advertisements in local newspapers, magazines, church and club newsletters and through expatriate organizations. Most rental properties are unfurnished. Expats who are looking for furnished properties (meublé) should expect to pay a higher rent. More so, furnished properties are difficult to find. Prices vary depending on the location and size of the property and deposits amount to two to three months rent. Land owners/home owners usually verify the employment status and residency status of any possible tenant. In Luxembourg City, rent for an 80 square meters unfurnished one-bedroom apartment with garage costs €900 monthly. Expats wanting to live in a luxury apartment that comes with a large terrace/balcony near the city centre of Luxembourg will have to allocate €2,000 a month for rent. Some of Luxembourg’s workers live in Belgium, France and Germany due to the low-cost housing. Modern furnished apartments (30 to 40 square meters) in Belgium cost from €460 to €550 monthly. Most utility costs are not included in the monthly rent. Prices for basic utilities like electricity, gas, water and garbage range from €50 to €60. Monthly telephone bills cost €18.40 and the price for cable television for a one-year subscription starts at €150.00. Internet connection rates differ by connection speed or package and provider. Broadband internet costs €45.00 monthly. Dining out will cost €10.00 in an inexpensive restaurant and costs €30 or more for a middle to high range restaurant. One liter of water costs €1.00, milk costs €1.48, sodas (Pepsi/Coke) costs €2.00 and imported beer costs €2.00. Local white wine costs €3.00 per bottle. One loaf of unsliced 1-kilogram bread costs €2.40, and a dozen eggs cost €3.00. Expats can set aside €200 to €500 for food monthly. The price of gasoline is the same across Luxembourg as it is fixed by a government decree. As of July 2009, the diesel price was €0.826 per liter, LPG €0.424 per liter, SuperPlus (98 octane) €1.055 per liter and Euro Super (95 octane) €1.034 per liter. A taxi ride for 2.6 miles or 4 kilometers costs €11.40 while a bus ticket costs €1.50. Reputably the country attracts affluent individuals due to the favorable tax regime and additional rebates for married couples or families with children. EU Member States are permitted to have value added tax rates ranging from 15% to 25%. Luxembourg runs the lowest VAT rate permitted at 15% while Denmark and Sweden currently run the highest rate at 25%. A 6% transfer tax is charged when purchasing a property. Annual property taxes range from 1% to 8% of the price of the property depending on the commune. Expats can check with their home country if it has a double taxation treaty with Luxembourg.